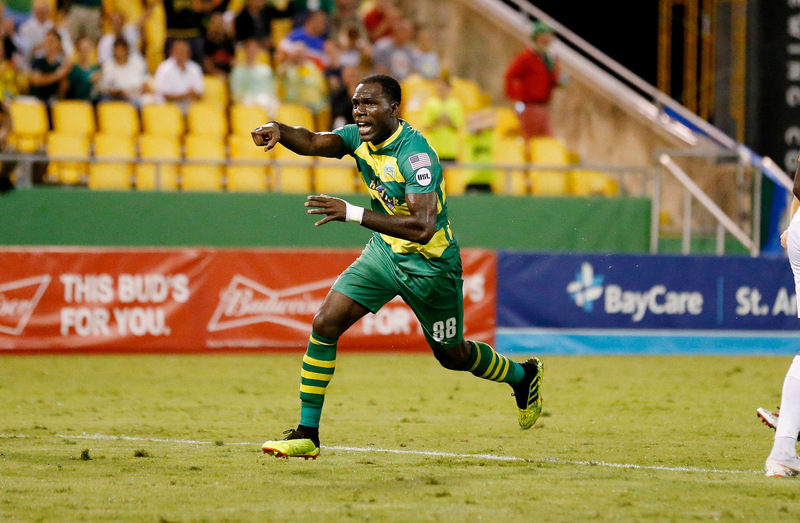 ST. PETERSBURG, Fla. — The best team in the Eastern Conference needed not one, but two penalty kicks to beat the Tampa Bay Rowdies at Al Lang Stadium on Saturday night. It was also a very strange night for old Miami FC fans who happened to be in attendance or watching at home. Four former players from last seasons record-setting squad were involved in this USL clash. Cincy was fielding the beloved pair of Michael Lahoud and Blake Smith. While the Rowdies countered with fan favorites, Daniel Vega and Kwadwo Poku. We watched first hand for two seasons what this foursome is capable of doing and we wish them nothing but the best in their new journeys. Now, on to the game at hand. Cincinnati’s Pa Konate created the decisive moment in the 86th minute when he advanced into the box and then jumped over Papé Diakité’s legs in acrobatic fashion, drawing an extremely controversial penalty kick. Diakité was shown his second yellow card in three minutes in the incident, resulting in a red card. The match turn a wicked turn in the 84th minute when Cincinnati scored its second penalty, but still, the Rowdies fought onward. Hunter Gorskie flashed a shot inches wide of Newton’s right-hand post in the 89th minute and Hristov put a great chance over the crossbar in stoppage time after another silky play from Poku and the Rowdies ran out of time before tying the match for the second time. Up next, the Rowdies hit the road for visits to North Carolina FC and the Charleston Battery the next two weekends before returning home to host Atlanta United 2 on Saturday, September 15.